EXODUS 10.1 It is written 18 times in the book of Exodus that The LORD GOD had hardened the heart of Pharaoh, the king of Egypt. HARDENED, as in, I have hardened his heart and the heart of his servants, comes from the Hebrew word KAHVAHD which means to be HEAVY, and STUBBORN, UNMOVED, and UNYIELDING to the LORD GOD. The word HEART, as in I have hardened his heart, comes from the Hebrew word LAYVE meaning GOD hardened Pharaoh’s MIND, his FEELINGS, and his UNDERSTANDING. The result being GOD appointed Pharaoh to be disobedient to the LORD GOD of Creation. Thus, it was GOD Who caused Pharaoh to reject His commands, to turn his back on GOD’s authority, because it was GOD’s will to harden Pharaoh’s heart, thus making him disobedient. Which leads me to this conclusion. GOD has hardened the hearts of the majority of people throughout the world and throughout history. They disobey GOD, reject His commandments, and refuse His laws, as they do today. They turn from GOD’s laws, His Law of Moses as they have been instructed by unGODly leaders, and unGODly teachers. GOD has hardened their hearts as He hardened Pharaoh’s heart and the heart of his servants. The LORD GOD has sent them a strong delusion that they should believe a lie. 2 THESSALONIANS 2.11. The lie is GOD’s Law of Moses does not exist any longer. That is the lie. They reject the Truth. And GOD will harden the hearts of the nations in the end of days for His purpose. To gather all nations against Jerusalem to battle, and to prepare the return of The LORD. And GOD will fight against those nations and destroy them, and lay the world waste by fire and earthquakes, because of hardened hearts. Because The Bible says in Isaiah 24.5&6 the inhabitants of the earth have transgressed The Laws, changed the ordinance, and broken GOD’s everlasting covenant, His Word. Therefore the curse has devoured the earth, and few are left. GOD’s purpose to harden hearts in the end days is to bring His return and set up His Messianic Kingdom in Jerusalem, the 1,000 year Millennium. The Kingdom will be turned into a pure land, and will be high. And there will be no more curse in the Messianic Kingdom. Zechariah 14.10-11. And as the prophet Isaiah writes in Isaiah 35.10, and the ransomed of The LORD shall return, and come to Zion (Israel) with songs and everlasting joy upon their heads. They shall obtain joy and gladness, and sorrow and sighing shall flee away. The borders of Israel given to the Jewish People from The LORD their GOD will include Lebanon, and much of Jordan, and Iraq and Syria to the Euphrates River, the Sinai and Kuwait, and perhaps even Egypt to the Nile. Thus the Messianic Kingdom of Israel, according to my estimation will be about the size of Nevada and California combined. Today, Israel is about the size of New Jersey, a very small state. I drew my opinion that GOD hardens hearts for His purpose from these Scriptures. DEUTERONOMY 2.26-31 GOD hardened king Sihon’s spirit to deliver him and his people into the hand of Israel, to possess that land, and inherit it. The word spirit, as in GOD hardened king Sihon’s spirit, comes from the Hebrew word Ruakh, meaning GOD hardened his MIND, his REASONING, and his THOUGHTS, and made him obstinate and stubborn. GOD hardens the hearts of people for His purpose. JOSHUA 11.20-23 GOD hardens whom He will for His purpose. And Paul explains why. ROMANS 9.16-24 But GOD makes known the riches of His glory, and His mercy upon those He saves. ISAIAH 46.9-11 This is the great sovereignty of GOD. He is the supreme Ruler of everything and everybody. He is the sovereign power and authority, and nobody can question His will. His will be done. Therefore He has mercy on whom He will have mercy, and whom He will, He hardens. That is GOD’s sovereign will. And finally, the hardening of hearts will be complete after this event. EXODUS 10.2 I AM The LORD in Hebrew is AH NEE YEHOVAH – meaning I AM LORD. LORD in Hebrew is YEHOVAH. YEHOVAH means self-existent and eternal. Self-existent means GOD needs no outside help from His Creation. While His Creation needs all the help we can get from The LORD GOD. Eternal means GOD has no beginning or end. He has always been, and will continue to be. In Judaism, YEHOVAH is the holiest of Names and is not pronounced or spoken. 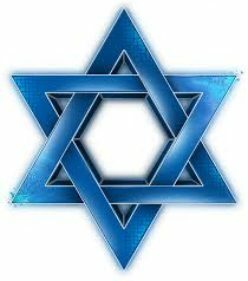 Jewish People prefer to call The LORD Ha Shem, meaning The Name. Because YEHOVAH is known as the ineffable Name. Meaning The Name YEHOVAH is not to be spoken because of its sacredness except once a year by the high priest in the holy of holies on Yom Kippur, the Day of Atonement. The problem today is there is no Temple, thus there is no holy of holies. As a point of interest, the holy of holies was behind the veil in the tabernacle in the wilderness and in Solomon’s Temple which had the Ark of the Covenant. And inside the Ark was the golden pot that held the manna, Aaron’s rod that budded, and the ten commandments written by the hand of GOD on 2 tables of stone. The tradition to not speak the Name Yehovah but rather Ha Shem apparently started around 100-200 C.E./A.D. Thus today, YEHOVAH is pronounced and read in Judaism as Adonai, in Hebrew meaning My LORD, or Ha Shem, The Name. However, Hosea 12.5 reads, YEHOVAH is His memorial. That is, GOD is to be remembered by His Holy Name YEHOVAH forever. HOSEA 12.5 MEMORIAL – ZAYKHAYER – remembrance YEHOVAH is The Name by which GOD is to be remembered forever. And YEHOVAH is Yeshua The Messiah. Whenever The LORD GOD appeared as a Man, He is Yeshua. EXODUS 10.3-6 Part of GOD’s great covenant to Abraham had been fulfilled in Egypt. GOD promised Abraham to make of him a great nation. That has been accomplished. GOD made the children of Israel a great nation in Egypt. Israel is that great nation today, and will always be a great nation forever. Genesis 12.2. And that brings me to another conclusion, because The LORD GOD will always deliver His saints, His holy ones from every affliction, every problem, and every sorrow and difficulty. JOHN 15.10-11 VERSE 10. The key here is obeying GOD, keeping His commandments. This is the foundational instruction of The Bible. The commandments of GOD are collectively The Law of Moses. And Messiah said, you will abide or continue in My love. Yeshua and GOD are 1 and the same. Yeshua is GOD, and He is GOD The Father. Isaiah 9.6, John 14.9.
ness. Genesis 1.26. It is Yeshua Who said, It is written (in the Law of Moses, Deuteronomy 8.3) that man shall not live by bread alone, but by every Word of GOD. Luke 4.4. Those are Yeshua’s commandments, The Law of Moses. Yeshua said in Verse 10, IF you keep My commandments, that is, IF you obey My Law of Moses, you will remain in My love. An important part of Messiah’s love is joy, for you, me, and others who keep the commandments of GOD. VERSE 11 These things have I spoken to you, the things He has spoken to us is to obey His commandments, His Law of Moses. That My joy might remain in you, and that your joy might be full. Messiah is simply saying, If you keep My commandments, His Law of Moses, you will remain in His love, and you can have joy in your life. (repeat). Now listen, and remember, even when you are going through the darkest of times, GOD will always deliver you, and protect you, no matter how hard the situation is, and that is a reason you can have joy, knowing that GOD will deliver you, always. Remember, believing in The LORD also means believing Him, all His promises, and all His precious thoughts He has for you. And GOD will always care for you. You know, when things are tough for me, I read The Word, the Psalms, the Proverbs. I read some of my favorite passages, and they comfort me, they give me hope, and in GOD’s gentle way, He gives me joy. And GOD will always bless you, and give you peace, the peace of GOD which passes all understanding. If you do what He says. He will always help you, and defend you. He is always near you, and with you. Trust in The LORD for all things. And He loves you, you are the apple of His eye, and He respects you. Exodus 2.25. And because you are His. Believe that. And you are His servants who love Him and serve Him. Thus you can have joy in your life, when you need it, because you remain in Messiah’s love. And His joy remains in you. Messiah had great faith in His time of turmoil, and He sits on the right hand of GOD. You can have joy in your life because you know that all things work together for good, to those who are the called, according to GOD’s purpose. Romans 8.28. You can have great joy in your life because you love Messiah, and GOD has forgiven you your sins, and will remember them no more. You can have joy in your life because you obey GOD, and His Biblical Law, and He has given you His Holy Spirit. Acts 5.32. You can have great joy in your life because you have everlasting life with The GOD of Creation, Yeshua ha Mashiakh. And when you are with Him, you will be in His likeness. You have the same spiritual body as GOD. 1 John 3.2, where GOD will wipe away all your tears from our eyes, where there will be no more death, neither sorrow or crying, neither will there be any more pain, for the former things will have passed away. All problems and grief will be gone forever. You never have to fear, except to fear GOD. GOD will always deliver you, and care for you. He will always carry you through the valley of the shadow of death. You never have to fear evil, for The LORD your GOD is with you always. Messiah’s joy is in you. His love will carry you, and care for you. He will always deliver you, and bless you. All we have to do is obey GOD, and believe Him, and our joy will be full. Shalom. Our teaching this morning will be from Exodus 10.7-11. The prophet Isaiah has an interesting word in Isaiah 28.9-10. Let’s read it. PRECEPT in Hebrew is TSAV – meaning commandment, ruling, law, instruction, warning. Weaned means to cause a child to become accustomed to food other than the mother’s milk. Thus for the Believers in Messiah, The Scriptures teach it is time to be weaned and taken from the mother’s breast. It is time to become spiritually mature by obeying GOD and serving Him correctly, learning knowledge, and understanding GOD’s doctrine, His instruction and teaching. How is this accomplished? Precept must be upon precept, precept upon precept. That is commandment must be upon commandment, rule upon rule, law upon law, instruction upon instruction, warning upon warning. Read them in The Bible, learn them, and do them. Line upon line, line upon line. We learn knowledge and understand GOD’s doctrine by reading and studying The Bible line upon line, line upon line. Here a little and there a little. Knowledge and understanding GOD’s doctrine come over time, not in one gulp. Here a little, and there a little. Then you will grown to spiritual maturity, doing the will of GOD. And that is pleasing to The LORD. That is why Yeshua says in Matthew 11.29, “take My yoke upon you, and learn of Me”. Learn the doctrine of GOD, His instructions, His teachings. Learn The Word of GOD, His precepts, His commandments, His Law of Moses, His rulings, and yes, His warnings. That is Messiah’s yoke that joins you together in a relationship with Messiah Yeshua. Listening only to basic Biblical doctrine of milk is at most remaining a spiritual baby. What distinguishes the spiritually mature Believer in The Messiah Yeshua, is the person who learns GOD’s doctrine and does it. Living your lives according to knowledge, and GOD’s doctrine is solid food, discerning good from evil, and truth from lies. Yes, the new Believer in Messiah should desire the sincere milk of The Word to grow in The LORD. 1 Peter 2.2, but then the time comes to be weaned from the milk and grow spiritually in The LORD by learning knowledge from GOD, and understanding The LORD’s doctrine. For precept must be upon precept, precept upon precept, line upon line, line upon line; here a little and there a little. Learn GOD’s precepts and do them and live by them. For Messiah said, My yoke is easy, and My burden is light. EXODUS 10.7-11 Question? How does The Bible describe the servant of GOD, the person who serves The LORD their GOD? According to The Bible, the first servant of GOD was Abraham, though it is written in Scripture before Abraham that Enoch walked with GOD, and he was not, for GOD took him. Genesis 5.24. And of course Noah whom GOD says was a just man, and perfect in his generations, and Noah walked with GOD. Genesis 6.9. Certainly they were servants of GOD. But when The LORD GOD and 2 angels came to visit Abraham and his wife Sarah, Abraham said, for therefore you have come to your servant. Abraham was a servant of GOD, and Abraham served The LORD his GOD. And Abraham should be an example for all who call themselves servants of The LORD. VERSE 1 The LORD is Yeshua the Messiah Who appeared to Abraham. Today, Mamre would be in the West Bank in Israel, south of Jerusalem, and south of Bethlehem. The Palestinians call Mamre Al Khlil. VERSE 2 The 3 men were The LORD GOD and 2 angels. GENESIS 19.1. Astonishingly, The LORD GOD appeared to Abraham, and he bowed himself to the ground. Abraham knew that the Man was in fact GOD. VERSE 5 And Abraham said, for therefore have You come to Your servant. So yes, Abraham was a servant of GOD. And we learn from Scripture that Abraham exemplified not only faith in The LORD, and love for Him, but also diligent obedience to GOD, to His Word, His commandments, His laws, His precepts. That is the definition of the servant of GOD. The servant of GOD serves The LORD by loving Him and obeying His every Word. The servant of GOD lives his or her life according to GOD’s laws, His commandments, His teaching, and His doctrine. VERSE 3 The Covenant GOD made with Abraham ws passed on by The LORD to Isaac and all his descendants, The Jewish People because Abraham obeyed GOD. VERSE 5 Explains how Abraham obeyed GOD, and what the duties of the servant of GOD are. He or she must obey GOD’s Word, His instructions, His commandments, His statutes, and GOD’s law, today known as The Law of Moses. The word charge, as in, Abraham kept My charge: charge in Herew is MEESHMEHREHT which means, GOD’s instructions and laws. Abraham kept GOD’s instructions and laws. Then the Believer is weaned from the milk, and grows into a spiritually mature man or woman of GOD, and a servant of The LORD by obeying GOD’s Word, keeping His charge, His commandments, His statutes, and His laws. ISAIAH 41.8 Israel is GOD’s servant whom GOD has chosen, the seed, or offspring of Abraham My friend. All the servants of GOD are chosen by The LORD and all are His friend. My friend in Hebrew is OHHAHVEE which means my friend and my love. Yeshua The Messiah, of course, is a Servant of GOD, though He is GOD. He came to do the will of Him that sent Messiah, and to finish His work. John 4.34. Yeshua was and is The Righteous Servant of GOD. He was right with GOD because He was obedient to GOD’s every Word, and He obeyed every law within GOD’s Law of Moses, as all servants of GOD must do. The Believers in Yeshua The Messiah, who like Messiah and Abraham, the prophets and the apostles, who obey GOD, His every Word, are the servants of GOD. EPHESIANS 6.5-6 The word will, as in, the servants of Messiah, doing the will of GOD from the heart. This word WILL comes from the Greek word, THEL-AY-MAH means decree. Decree here means GOD’s law. The servant of Messiah does the will of GOD by doing and living by GOD’s law, His law of Moses, from the heart. Fear in Hebrew is YAHRAY which means to fear GOD, BE FRIGHTENED of GOD, AFRAID of Him, and to REVERE Him, and RESPECT, and HONOR GOD. The fear of GOD causes the servant of The LORD to serve GOD according to the written Word in The Bible. Living by every Word that proceeds out of the mouth of GOD, which includes His Law of Moses, even against all opposition. E RIGHT HAND OR THE LEFT, THAT YOU MAY PROSPER WHEREVER YOU GO. DON’T BE FRIGHTENED OR DISCOURAGED, FOR THE LORD YOUR GOD IS WITH YOU WHEREVER YOU GO. Though GOD’s Law is known as The Law of Moses, the Lawmaker, and the Lawgiver is GOD Almighty, Who is Yeshua The Messiah. Thus Yeshua is The Lawmaker, and The Lawgiver. GOD’s Divine Law is known as The Law of Moses because Moses delivered GOD’s Law to Israel, and commanded them to obey it. And Israel, The Jewish People, by way of The Bible, delivered GOD’s laws to the world to observe and do. For the most part, the world has rejected GOD’s Laws as we do in America. What are the teachers teaching? ISAIAH 33.22 LAWGIVER in Hebrew is KHAHKAHK which means GOD is The Lawgiver Who made the Laws, for everybody. JAMES 4.12 Lawgiver in Greek is NOM-OTH-ET-ACE which means Lawgiver, and GOD, Yeshua The Messiah is The Lawgiver. He gave The Law to the Jewish People to live by. And the Jewish People delivered GOD’s laws to the world through The Bible, for the very same reason, for the world to live by GOD’s Laws, The Law of Moses. (Revelation 22.1) GOD and The Lamb are 1 and the same. VERSE 3 His servants will serve HIM. VERSE 4 GOD’s Name will be in their foreheads means we belong to GOD. VERSE 5 No light of the sun because GOD’s glory is the Light, and the servants of GOD are kings who will reign forever and ever. So in conclusion: The servant of GOD must be like Messiah Yeshua, and like Abraham and Moses. Like the prophets and the apostles who loved The LORD their GOD with all their heart, and obeyed GOD’s Word, and kept His instructions, and His commandments, and lived by GOD’s Laws, The Law of Moses. And the servant of GOD is chosen by GOD Whom He loves to be His frined, and to be His witness of the Truth that is written and taught in The Bible. Not according to man’s questionable teachings but the instructions, and doctrines, and precepts from the written Word of GOD. And as GOD instructed Joshua saying; be strong and very courageous to observe to do all The Law which Moses My servant commanded you. Turn not from it, to the right hand or the left, that you may prosper wherever you go. Don’t be frightened or discouraged, for The LORD your GOD is with you wherever you go. These comforting words are for you and me also, and all GOD’s servants. This is the first message I am typing after having had cataract surgery. I praise Yeshua my LORD for restoring my sight. Shalom. Our teaching this morning will be from Exodus 10.12-20. EXODUS 10.12 Every herb. Everything green that grows. EXODUS 10.13 Locusts are grasshoppers. THE VERSE of Scripture for our teaching this morning is from Verse 17. EXODUS 10.17 In the Scriptures, the forgiveness of sins are much greater on the part of GOD forgiving our sins than man forgiving others their sins. With that said, The LORD GOD requires us to forgive others. It is law, and it is a commandment of GOD. As far as the east is from the west, so far has The LORD removed our transgressions from us. Psalm 103.12. And as The LORD has forgiven our sins, we are required to forgive others their sins as far as the east is from the west. This morning our teaching will be on forgiveness. Yes, it’s an old familiar subject but of great importance to The LORD GOD, and for our health and welfare. Why? MATTHEW 6.14-15 In a moment, we’ll learn what Messiah means when He says, “If you don’t forgive others their trespasses, neither will your Father in Heaven forgive your trespasses”. The Bible teaches in Isaiah 28.10 that we should learn precept upon precept, precept upon precept, line upon line, line upon line, here a little and there a little. Forgiveness is a precept, forgiveness is a law and a commandment of GOD to obey. And forgiveness is a subject that must be reviewed from time to time. So here’s what Messiah means when He says, “If you don’t forgive others their trespasses, neither will your Father in Heaven forgive your trespasses. VERSE 23 The Kingdom of Heaven in Messiah’s story is GOD. And GOD, He says, is like a certain king who would take account of his servants. The accounting was the conduct of his servants. You and I are GOD’s servants. VERSE 24 One of the king’s servants owed him 10,000 talents, in the neighborhood of 10 million dollars. VERSE 27 Out of pity, the king forgave him his debt. He cancelled his entire obligation of 10 million dollars. VERSE 28 100 pence would be perhaps $2,000. VERSE 30 He would not forgive that person and tossed him into prison. VERSE 32 If you do not forgive others, The LORD said, neither will your Father in Heaven forgive your trespasses. Not forgiving others causes The LORD to call that servant, wicked, or if you will, evil and bad. And it doesn’t stop there. VERSE 33 As The LORD has forgiven you and me, we must also forgive others. VERSE 34 Unforgiveness causes The LORD to be angry with the unforgiving servant, moving him to deliver that servant to the tormentors til he is paid all that is due him. Being delivered to the tormentors means GOD will make our life painful with trouble, and distress, and worry til the servant pays all that is due to him. Meaning, until we forgive everyone who has done us wrong. Then the debt is cancelled. Then we have peace with The LORD our GOD. VERSE 35 Here’s the lesson of Messiah’s story. If we don’t forgive others, our Heavenly Father will not forgive us. He will bring pain into our lives until we forgive from our hearts every one of our brothers their trespasses. Our brother means everybody from the human race. A brother or sister from the womb of our mother. A brother and sister in The LORD. Our mother, our father. Someone who is near and far. Messiah is saying, forgive everyone. MARK 11.25-26 The word any, as in, “If you have anything against ANY means anyone, everyone, anybody. Forgive everybody. No exceptions. Forgiveness of others is from The Law of Moses. All this is accomplished by forgiving others from our heart. VERSE 22 70 times 7 means always and forever. We must forgive others always, all the time. 70 times 7 comes from Daniel 9.24. DANIEL 9.24 70 weeks means 70 times 7 years or 490 years, but that particular 490 years in prophecy leads into eternity. A week here in Hebrew means a week of years, or seven years. This Hebrew word for weeks is shavueem meaning seven years. 70 times 7 years or 490 years in this prophecy means a time determined by GOD for the Jewish people, and their Holy City Jerusalem. This prophecy that continues through Verse 27 was given to Daniel from GOD via the angel Gabriel. The prophecy tells the exact time of Messiah’s first coming, and reaches into eternity when Messiah returns to finish transgression, make an end of sins, make reconciliation for iniquity, bring in everlasting righteousness, and anoint the most Holy, the Millennial Temple. The 70 weeks, or as Yeshua said, 70 times 7 is a term of time and eternity. The first 69 weeks of years were completed when Messiah came the first time. The final week of seven years, the 70th week is in the future when a 3 1/2 year peace treaty is made with Israel, and then 3 1/2 years of great world-wide tribulation bringing The LORD’s return to establish the 1,000 year Millennial Kingdom in Israel. And after the 1,000 years are complete, the first Heaven, and the first earth will pass away and GOD will make all things new when He replaces them with a new Heaven, and a new earth, the Holy City New Jerusalem which will come down from GOD out of Heaven having the glory of GOD. That will begin a time without end, eternity in Heaven for all GOD’s servants. And we will dwell with Him forever. 70 times 7 means forever and always. Yeshua said, we must always forgive others, 70 times 7. Forbearing one another means putting up with others, even suffering with them, even enduring hardship with them patiently. LUKE 6.37 Forgive and you will be forgiven. Forgiven by who? By others, by GOD? We will be forgiven by GOD when we forgive others. GOD will forgive all our sins, and remember them no more. Let’s talk for a moment about GOD’s forgiveness of our sins. MATTHEW 26.28 At the Passover Seder, Yeshua confirmed that He is the New Testament, or the New Covenant, and His shed blood will establish the New Covenant as law that forgives our sins. The New Testament, or The New Covenant according to Jeremiah 31.31-34 is a new way to have our sins forgiven. The new way for atonement is the New Covenant Who is Yeshua The Messiah Who replaces the old way of atonement, the animal sacrifice. soul, and all who receive Him. And The LORD GOD teaches us a very important doctine in The New Covenant Scriptures in Jeremiah 31.31-34. That doctine is, GOD will put His Law in our inward parts, and write it in our hearts when we receive The New Testiment Yeshua, and GOD will be our GOD, and we shall be His People. Thus, all who believe in The Jewish Messiah Yeshua, GOD has put His Law, His Law of Moses in all those hearts who believe in Yeshua, whether they are Jewish or non-Jewish, to learn His Law written in The Bible, and to do it. Then, THEN GOD will forgive your iniquity and remember your sin no more. The doctrine of Messiah’s forgiveness in The New Testament which is part of the whole program of Salvation, requires all who believe in Messiah, Jewish and non-Jewish people to obey GOD’s Law, Yeshua’s Law of Moses. That is Biblical teaching. That is why GOD put His Law in your hearts when you came to faith in Messiah, to obey Him, to lead a GODly and righteous life. Then GOD will be your GOD, and you shall be His People. And then The LORD will forgive your iniquity, and remember your sins no more. That is Biblical teaching, not the teaching of man. The doctrine of GOD Almighty, Elohim, Yeshua The Messiah, Jesus Christ Who are one and the same, Whose blood was shed to make atonement for you and me, commands us to lead a GODly, law-abidiing life, and not a lawless life. A Law-abiding life is accomplished by living by the Divine Law of Moses that Yeshua gives to all mankind to live by. That is the doctrine of GOD’s forgiveness of our sins. We must receive The New Covenant written in Jeremiah 31.31-34, Who is Yeshua The Messiah, and lead a GODly life in obedience to Yeshua’s Law of Moses. And then GOD will forgive our sins, and remember them no more. And GOD will see to it that things will go well in your lives, and you will prosper,and have good success because The LORD your GOD will be with you wherever you go. JOSHUA 6.7-9. Which brings me to another point. The LORD teaches us in Leviticus 19.18 to love your neighbor as yourself. That implies that you should love yourself also. Not in an arrogant or prideful way, but in a GODly manner. I believe if you love yourself in a GODly fasion, you will have an easier time loving others. As in loving your neighbor, and if you don’t love yourself for any reason, ask The LORD to help you love yourself. After all, The LORD GOD has forgiven you all your sins forever. Which leads me to the subject of forgiving yourself from all your sins, faults, errors, and trespasses. According to GOD’s teaching of The New Covenant, you have fulfilled all GOD’s requirements for Him to forgive all your sins, and He has. You believe in Yeshua Who is The New Covenant. GOD has put His Law of Moses in your heart, and you obey it. You are doing your best to learn it, and do it. Thus GOD is your GOD, and you are His People, and GOD has forgiven your iniquity, and He remembers your sin no more. And since The LORD your GOD is GOD in Heaven above, and in the earth beneath, and He has forgiven you all your sins, and doesn’t remember them anymore, you can forgive yourself also. Just continue to lead a GODly life, enduring and believing in Yeshua, being His servant and witness, obeying His Law of Moses. And again, if you are having difficulty forgiving yourself, and you fulfill all the requirements of The New Covenant written in Jeremiah 31.31-34, ask The LORD to help you forgive yourself, and be persistent and obedient, and He will. So in conclusion. The LORD your GOD has chosen you because He loves you. It is His Grace. It is His gift to you. And He has chosen you to be holy unto Him, special, above all the people that are upon the face of the earth. And being GOD’s servant, He commands you to forgive everyone who has wronged you, cheated you, hurt you, deceived you, fooled you and has sinned against you in just about every manner. GOD commands you to forgive them all, 70 times 7, for your good and for your health. Forgiveness is Law, and forgiveness is a Commandment.